Would you have the Machine Number? Check on the machine number from the sticker or check it from here , just keep your serial number confidential. Similar to this discusion for y700 , offered product specifications with touch and non touch variants. You may also try to go to the BIOS and reload defaults F9 either using the Novo Button or FN + F2 on restart. Then save and exit F10. 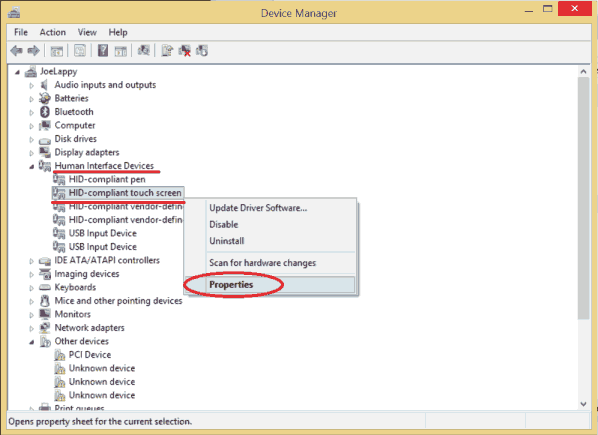 Check the device manager to show all hidden device and look for HID compliant touch screen under Human Interface Device. Verify that it is enabled and try to right click and perform drivers update and restart. If the same then try to uninstall the same HID compliant touch screen driver and restart to refresh. Apply all needed Windows Update as needed. Y700 did came with these non touch and touch variants, and is a common query. Using your specific machine number would also get you individual part number and detail specifications using the parts look up part page and same goes with the hardware manual. Good to know that everything is sorted out as an answer to your original query. my laptop is lenovo Y700-15ISK (ideapad) and the screen in broken , i wantto buy a new screen but i dont know the screen is touch or non touch because the screen Pin for touch screen is different from screen Pin for non touch screen , how i can know the screen is touch or not ?? ?